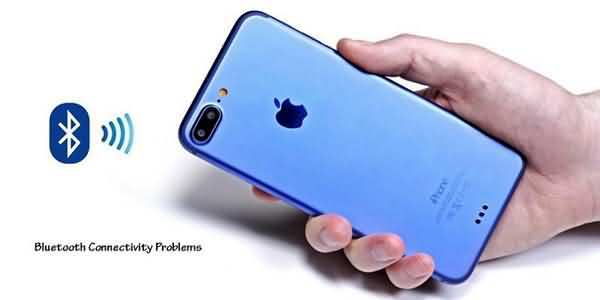 As with other smartphones, people have been having trouble maintaining a Bluetooth connection, either with 3rd party wireless headphones, or when trying to connect their iPhone to a car. Some users have also noticed a much larger drain on the battery when using it. 2, Toggle Bluetooth off and on again. 3, Unpair the Bluetooth devices and try pairing them again. 4, You can try resetting your network settings by tapping Settings > General > Reset > Reset Network Settings. Then try Bluetooth again. 5, iOS 10.2 contained improvements for Bluetooth performance and connections to 3rd party accessories. If you’re not running 10.2 or 10.2.1, those updates may alleviate the issue. 6, If you’re noticing a bigger battery drain like this user, the cable you’re using may be the culprit. Consider using the Lightning cable that came with the iPhone or better quality cables. 7, Perform a factory reset, restore your phone using a backup (or as a new phone) and try Bluetooth again.